Planners and politicians in both the United States and China face a single decision again and again when determining the course of urban development: should historical fabric replete with identity and tradition take precedence over new development, even if that means slowing or halting growth, or does the economic value of this growth and potential for innovation outweigh any cultural relevance. The decision is especially pressing in older, established Chinese cities like Beijing and Shanghai where growth transcends economics and enters the realm of politics…where each new skyscraper, rail station, housing development, or stadium is intended as a statement to the outside world that China aims to be the dominant power on the Asian continent. This is a tough argument to compete against in the name of preserving old neighborhoods or temples. In his philosophical text The Society of the Spectacle, Guy Debord explores this conflict abstractly, proposing that culture is aligned to negate itself. In the chapter Negation and Consumption in the Cultural Sphere, he asserts that the “struggle between tradition and innovation, which is the basic principle of the internal development of the culture of historical societies, is predicated entirely on the permanent victory of innovation”. But by which standards is innovation permanently victorious? It would seem innovation is in fact handily defeated by tradition when it comes to urban spaces. The 400 meter skyscrapers of Pudong may be testaments to Chinese prowess in engineering and construction but the spaces people flock to on weekend nights are the narrow streets of Shanghai’s historic French Concession, not the vacuous boulevards across the river. The spaces people go to shop, to dine, to drink, or simply to take a walk through the city are almost exclusively within Shanghai’s historic center. By this metric then, declaring the new city, innovation and all, victorious over tradition seems inaccurate. The same can be said for Beijing, where the lifeblood of the nighttime city runs through its inner ring and not in the disparate central business districts home to innovative architecture like the CCTV tower or Olympic Village. Debord goes on to say that “culture is the meaning of an insufficiently meaningful world”. Given this paradigm then, the actions of Chinese speak for themselves. People find meaning wherever there is culture, and this means in historical urban fabric. I would classify this as a victory of tradition over innovation, and not the other way around. In Walter Benjamin’s 1935 essay The Work of Art in The Age of Mechanical Reproduction, Benjamin understands that “the uniqueness of a work of art is inseparable from its being imbedded in the fabric of tradition. This tradition itself is thoroughly alive and extremely changeable.” In terms of a city, tradition can be defined by changes in the elements that describe a city [physical, mental, social, economic, political, and cultural]. Shenzhen was originally a fishing and farming area until Deng Xiaoping declared it a Special Economic Zone [SEZ]. It started as Deng Xiaoping’s capitalism experiment 30 years ago while the rest of China was under a communist regime and is now flourishing with activity and excitement. Shenzen’s unique city growth conditions resulted as fast paced developments with density and sprawl moving starting from the east and now moving west and even more westward with the onset of the new express line between Hong Kong and Shenzhen. Shenzhen’s untraditional city has transformed from farmland and fishing into to urban villages, and finally high-rise developments for housing, offices, hotels, shopping malls around the Central Business Districts [CBD]. 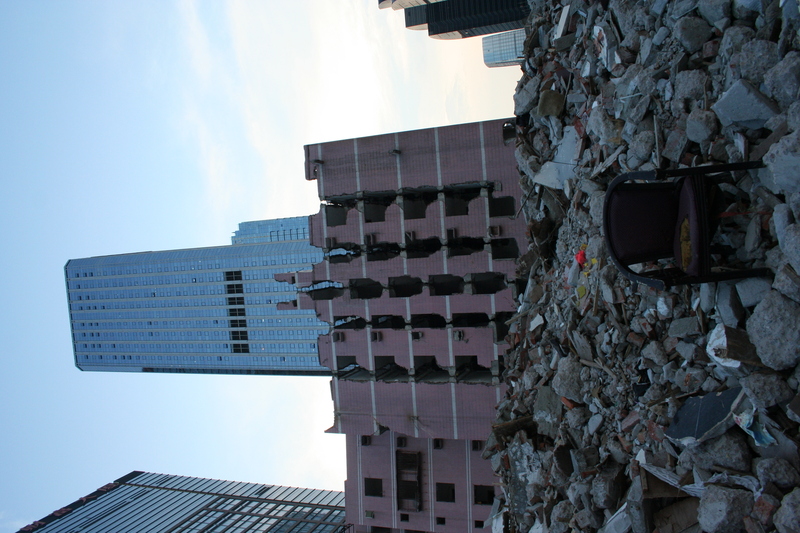 During my initial days in Shenzhen, I was heavily disinterested in the glass-clad buildings. No matter how hard I tried, I could not get a bearing on Shenzhen’s new epoch of generic buildings. It seemed like the previous era had disappeared when the government decided to knock down the urban villages. After finally visiting a modernized urban village, I found a grounding that modern day Shenzhen was lacking. However, is it fair for me to use nostalgia and say that the developed area of Shenzhen lacked tradition that was obvious in these urban villages? If Shenzhen is a work of art as a city, where is the essence of tradition in its current development phase of high-rises? Are there certain aspects that still have not changed? Shenzhen’s traditions as a city have obviously changed, but not all the elements that make a city have followed suit. Obviously, the mental grounding offered by that of the urban villages has transformed into my mental disorientation and discomfort with modern Shenzhen. The physical aspects have drastically changed from the days of rice paddies into high-rise towers. Economically, the farmers traded in the farms that made little profit and became developers that collected rent. Their land value increased after developers started to build housing and office towers to satisfy the demand of the new CBDs and as a SEZ. The social aspect of Shenzhen changed as China established Shenzhen as a SEZ and promoted urbanization. The government has also changed its policies on traveling to Shenzhen by lifting the Visa requirement to access this evil child of capitalism. 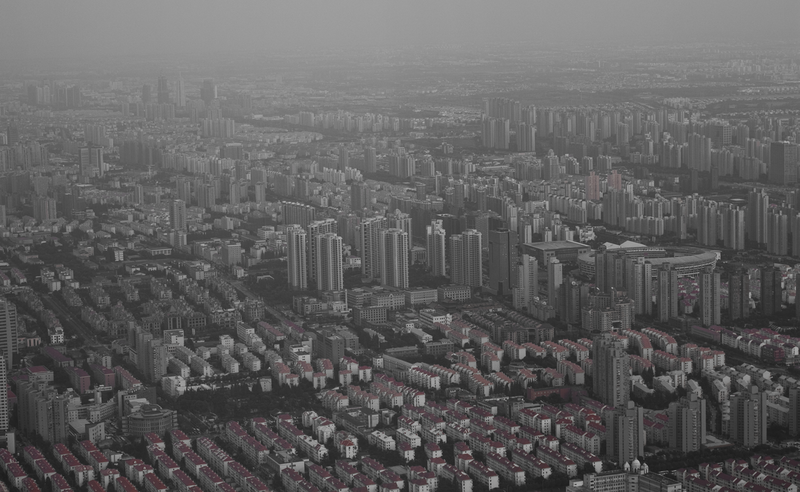 Culturally, Shenzhen’s demographics have been morphing since its establishment as a SEZ. Migrant workers and people from all over China have been relocating there resulting in a cultural mixing pot similar to that of Los Angeles, with the exception that most of Shenzhen’s migrants are predominately Asian. But ironically, it is the culture that has changed only on the surface and not in its ideals. When comparing Western Monuments, the Pantheon, Acropolis, and Coliseum all served the public as a public space. When one looks and lists China’s monuments, Forbidden City, Tiananmen Square, and The Great Wall, they completely disregard the public and demanded containment. This idea of public space was never embedded into China’s social culture. It is still true today with the urban villages and high-rise developments, but for economic reasons. A tenant does not feel inclined to purchase an apartment with public space because they do not personally own it. Because of my Western thinking, I was blind sighted by the inherent culture that was beneath the form and glass cladding of the buildings. It was my nostalgia and desire for historic preservation that made me uncomfortable with the government destroying their “real” culture. However, it is not the formal manifestation that defines its significance, but rather the place and conditions in which it is manifested.